The extradition process of Paramjit Singh alias Pammi of Babbar Khalsa International Terrorist group has gained momentum. After submitting the documents to the Portugal government, the Anti-Terrorism Squad (ATS) returned to Jaipur, Rajasthan, on Monday. Notably, the Portugal government on 19 December 2015 informed the Central government about the extradition of the Khalistani terrorist. He was staying in a hotel with his family in Portugal when the Portuguese police nabbed him last year. The Interpol Red Corner notice was issued against Paramjit for being a key conspirator of the 2010 twin bomb blasts in Patiala and Ambala. He also masterminded the killing of Rulda Singh, head of the Rashtriya Sikh Sangat, a wing of the Rashtriya Swayamsevak Sangh (RSS) in 2010. He has also been charged with smuggling heavy amount of explosives from Pakistan via Barmer border. As informed by Additional Director General, ATS, Alok Tripathi, Paramjit along with Pakistani smugglers Alia Khan, Photia Khan, and Paniya smuggled explosives through the border. On 8 September 2009, Barmer police along with the ATS confiscated eight pistols, 420 bullets, six kilogram of RDX, batteries, and other explosives at the border. Soon after, smugglers Lunia Khan, Sodha Khan and few others were arrested in connection with the case. At the time of arrest, police impounded four pistols, eight magazines, nine kgs of RDX, a large number of detonators and arrested 11 people related to the case. 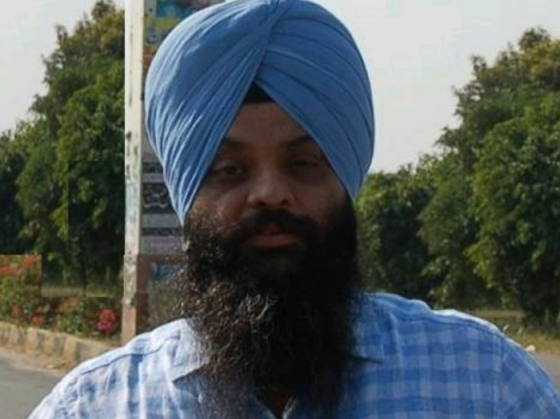 The smuggling allegedly took place under Paramjit's orders. According to Tripathi, within 60 days India will have to submit the important documents to the Portugal government, which will be further presented in the Portuguese court. The entire process will take almost two months.